Title: Is Multicultural Equality Compatible with an Established Religion or Religions? Abstract: I want to explore two intersecting tensions. The first is to do with liberalism and multiculturalism. The second is to do with the nature of the secular state in western Europe. While many liberals believe that the state should be neutral on matters of the good and culture, and above all on religion, multiculturalists hold that the state should not be blind to difference. Indeed, it should actively play a role in constructing and promoting a multicultural national identity in which minority identities are respectfully included. If this includes minority religious identities then multiculturalism must be opposed to radical secularism. Luckily for multiculturalists in western Europe, where all states support one or more version of Christianity, radical secularism is not the dominant mode of political secularism. So, is multicultural equality compatible with an established religion or religions? Might it to be more inclusive to pluralise the state-religion connections than to sever it? 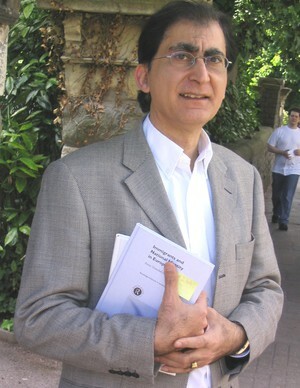 Bio: Tariq Modood is the founding Director of the University of Bristol's Research Centre for the Study of Ethnicity and Citizenship. He has over 30 (co-)authored and (co-)edited books and reports and over 150 articles or chapters in political philosophy, sociology and public policy. He is the co-founding editor of the international journal Ethnicities. Recent publications include Still Not Easy Being British: Struggles for a Multicultural Citizenship (Trentham Books, 2010); as co-editor, Secularism, Religion and Multicultural Citizenship (Cambridge University Press, 2009); Global Migration, Ethnicity and Britishness (Palgrave, 2011); and European Multiculturalisms (Edinburgh University Press, 2012). He served on the Commission on the Future of Multi-Ethnic Britain; the IPPR Commission on National Security; and on the National Equality Panel, which reported to the UK Deputy Prime Minister in 2010.